Sitting in my living room, watching The Force Awakens, it struck me how many times “home” comes up over the course of the movie. Leia wants to bring Luke home, Rey needs to get home, Maz tells Han to go home, and Han in turn wants to bring his wayward son Ben home. Presumably most people reading this blog aren’t considering whether or not to bring the Blu-ray home, but rather how to best enjoy its bonus features. I went to this extra first and I’m glad I did. John Williams succeeds because he speaks the language of storytellers. His thoughts focus on Rey and Kylo as new themes he introduced. The scene he discusses is the snow battle between the two characters, emphasizing how important they both are to the sequel trilogy. Executive Producer Kathleen Kennedy and editor Maryann Brandon add their thoughts to director J.J. Abrams’ on the importance of the score to a movie. Seeing more women talk about creating Star Wars is always a good thing. Women have to see other women doing things to help them believe they can, too. Only downside on this feature: it’s too short. This feature sets the mood. It’s short but will make you smile. With that closer “Blueprint of a Battle: The Snow Fight” captures the entire meta of why women have rallied around this movie. This is the best feature of the group by far. 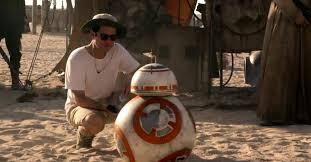 Anthony Daniels succinctly summarizes the truth of BB-8 when he says, “BB-8 is such a star.” What you get from this feature is the level of detail and passion required to bring to life the droid sprung from Abrams’ imagination. 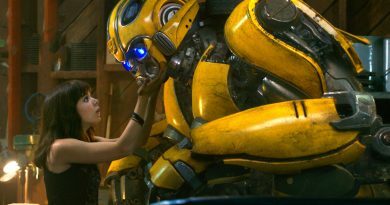 This is entirely a STEM (Science Technology Engineering & Mathematics) pitch for kids, except that the short makes it painfully obvious that this area of filmmaking is lacking in women. Considering how fast Maz’s cantina goes by onscreen, they put an amazing amount of work into the creatures. Unlike the BB-8 feature we see women working as character actors, like Arti Shah as the Gonk Droid, and also on creatures, with both Maria Cork and Vanessa Bastyan talking about animatronics. We also see women working on the time-intensive Chewbacca suit, first hand-woven by Kay Freeborn. Amid the detail you might find a new favorite creature to write a fanfic about, or pester Hasbro to make into a collectible. Curiously enough, a character clearly meant to be an homage to the slave girl costumes of the original trilogy can be spotted in the mix assembled for a photo shoot, but ended up omitted from the Vanity Fair spread. If you watch this feature after the previous two they work in symbiosis, highlighting ways special effects can enhance practical sets and creatures. The talking point for ILM was restraint. We see a lot of white male fanboys talk about living their dream working on special effects, but this piece is balanced with Kathleen Kennedy and ILM head Lynwen Brennan describing how storytelling doors can be opened by special effects. Andy Serkis (Snoke), Lupita Nyong’o (Maz Kanata), and Oscar Isaac (Poe Dameron) provide diverse perspective from the cast on how they worked within this imaginary world. The feature ends with Rey holding her lightsaber, again driving home where all this computerized magic is pointing us. Described as a “Making of” documentary, its appearance at the SXSW Film Festival suggested this documentary would tell a story, including some of the challenges or conflicts that arose during the process. You won’t find, however, the travails of finding their leads or the drama that ensued after Harrison Ford’s injury on set. In fact, it isn’t even mentioned. The prequel trilogy behind-the-scenes documentaries had more meat than this cinematic journey, showing Lucas dog his team about costs, demand more, and worry if his actor child star would become a costly choice because they would be forced to do too many takes. If you’re looking for a behind-the-scenes feature of that ilk, you won’t find it in this piece. The film critics have been underwhelmed, and as someone who followed Episode VII from the outset, the title suggesting the audience will learn secrets is misleading. No doubt there are secrets that involve high stakes – Episode VII sets up the rest of the adventure for Rey, Ren, and the next generation – but those mysteries will remain safely hidden until at least after Episode VIII and possibly not until the entire trilogy has been played out. Both Ridley and Boyega are charming in their first interviews, Boyega already a bit more self-confident and fun-loving and Ridley’s nerves showing the vulnerability necessary for her role, and yet there was a certain glow and grace in how she was approaching her first step on a grand adventure. Isaac and Gwendoline Christie (Captain Phasma) both exude charm and their own giddy fandom every time they appear. Co-screenwriter Lawrence Kasdan describes Poe as this movie’s Han Solo. In at least one way they come across differently, with Isaac appealing to give Poe a stay of execution and Ford believing his character needed to meet his death in order to give emotional weight to the character. One has to wonder how the attack on Starkiller Base would have worked without Poe to carry the audience through the aerial assault, but that’s where the superficial tack of this documentary avoids taking a bite into the storytelling side of The Force Awakens. Before Christie’s take on Captain Phasma, a short sequence shows two tall women climbing into stormtrooper armor. Although it’s appreciated to know that women who looked a certain body type –meaning, closer to an average man – were under the famed armor, the follow-through on the diversity in voice acting for the First Order soldiers fell short. While the women who got to play stormtroopers were indistinguishable as women, Christie explains that she felt it crucial for her femininity to be apparent. She used her stance to make sure the audience knew who was behind her mask. 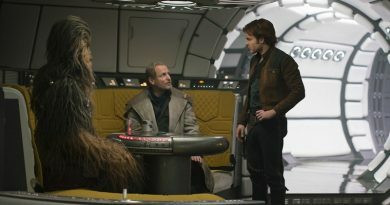 The feature treats the Millennium Falcon as a character, deservedly, and we see Abrams and crew fanboy/fangirl over Han’s emotional return to the iconic set. Driver’s heady discussion of villain-in-training Kylo Ren provides the best insight into character development. In framing legendary Han Solo’s death, Kennedy’s nervous concern about fan reaction is the dramatic highlight of any of the production crew interviews. From the dissection of Shakespearean patricide, though, the documentary about the “making of” The Force Awakens takes a weird turn. Imagine an equivalent documentary on A New Hope describing the death of Obi-Wan Kenobi on the Death Star, then skipping over the Battle of Yavin and Luke using the Force entirely and diving into the medal ceremony. Abrams provides one brief glimpse of insight about Han’s death in the role of his hero and villain, but other than that the snow battle and attack on Starkiller Base are passed over. The snow battle is given a separate feature, but so are BB-8 and the creatures, which are revisited in this documentary, whereas the snow battle in not. From Han’s death the documentary jumps to the discovery of Luke Skywalker, making this documentary more of a nostalgia trip than a story about making a story. The framing of this documentary suggests Episode VII is mainly the story of Kylo Ren and Rey is a sidebar in the way Leia and Padmé were in their respective trilogies, adding more reasons to be concerned that Rey is the most at risk. Most fans will see the merit of cutting “Finn and the Villager,” “X-wings Prepare For Lightspeed,” and “Finn Will Be Fine,” but some of the other scenes might have helped key criticisms leveled at the film. “Jakku Message” reveals Leia learning the news about the destruction of the village where Poe met Lor San Tekka. Some information is repeated in dialogue in order to insert J.J. Abrams’ childhood friend Greg Grunberg and could have easily been trimmed. 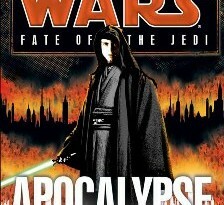 A major criticism of The Force Awakens was lack of clarity over the relationship between the Resistance and the Republic. One short line from Leia brings some much needed perspective. I thought Carrie Fisher looked more like her old Leia-Organa-in-charge self in this scene than she did in the awkward moments with her estranged husband Han Solo. The removal of “Kylo Searches the Falcon” reveals why the villain needed to stop in a corridor to feel the presence of Han Solo during ensuing chaos on Starkiller Base. The whole dynamic of Kylo sensing his father from afar played out weirdly in the scope of the story, especially by comparison to what he did or didn’t sense at other times in the story. Cleaving this scene makes sense, especially to preserve the big shocker of Han shouting his son’s name a few minutes later. 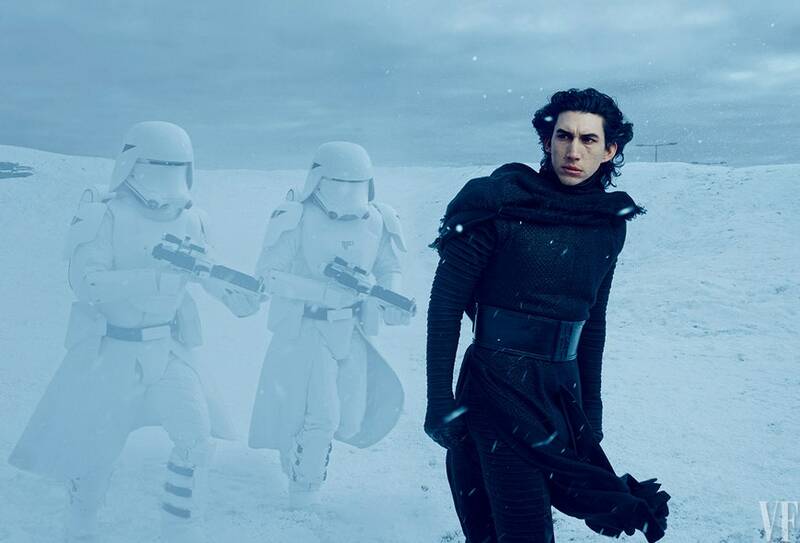 This scene also explains what inspired the Kylo in the snow Annie Liebovitz photo for Vanity Fair. The “Snow Speeder Chase” features Rey and Finn off to disable the thingamajigger to allow Han and Chewbacca to continue on their mission to set off charges in the oscillator. It reestablishes things we know: Rey can fly and Finn is getting really good at shooting things. From a storytelling perspective it’s definitely expendable material – except for the fact that, with this sequence cut, Rey and Finn end up standing around doing nothing for the extended exchange between Han and Ben. Abrams’ inclination as a bombastic storyteller put Han and Kylo in a stunning visual setting for the death of a hero, but impinged how the next generation of heroes reacted to the climactic moment. Ultimately I think the visual was the darling that slowed down the narrative for the heroes. The closing moments in the oscillator is one of those places the screenplay could have used some tightening. The snow speeder chase is simply more evidence that the road to the finish line wasn’t as tight as the movie’s superb start, and the climax didn’t live up to the high bar set by A New Hope. Interestingly, unlike previous Star Wars movie deleted scenes, we don’t get any discussion about why these scenes were chopped, and likely won’t until the saga is over. This feature includes many of the feel-good shots used in the Kathleen Kennedy farewell video at last year’s Celebration Anaheim and gives a brief summary of the Force For Change campaign. We see that activist and Nobel Peace Prize winner Malala Yousafzai visited the set, and highlight reels of some of the thank you videos forwarded to the cast and crew from the UNICEF projects benefited by the charitable efforts. It would have been nice to have seen Malala’s speech, as she is a powerful speaker, or more about the success stories. You can visit the Force For Change site to see how UNICEF aided mothers and children in Rwanda or provided one million food packets to malnourished children. This morning Kathleen Kennedy and Mark Hamill rolled out a new initiative in the Force For Change campaign. Proof of results in hand would go a long way to convincing more to contribute. What’s not in the bonus features that would have been neat to see? A blooper reel, especially, as well as more on the costumes and stunts. Apparently some set goofery, like Ridley rapping, can be found on the Target exclusive Blu-ray, which also features more on the stunt training. As for the movie itself, I have enjoyed watching scenes like the snow battle over and over and finding new tidbits in the background at unexpected moments during full-length viewings. Sit back, relax, and enjoy! 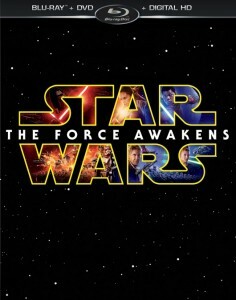 A copy of The Force Awakens Blu-Ray was provided to FANgirl Blog in exchange for a fair review. If I’m to be disappointes at anything in this package it is indeed the omission of those expanded scenes featuring Leia and her envoy that were so wonderfully writted in Alan Dean Foster’s novelization. I came away from my first viewing of The Force Awakens, confused by the relationship between the Republic and the Resistance and the whole concept of a rotating roster for hosting the Senate. So, those were the things I really wanted to see in the deleted scenes. 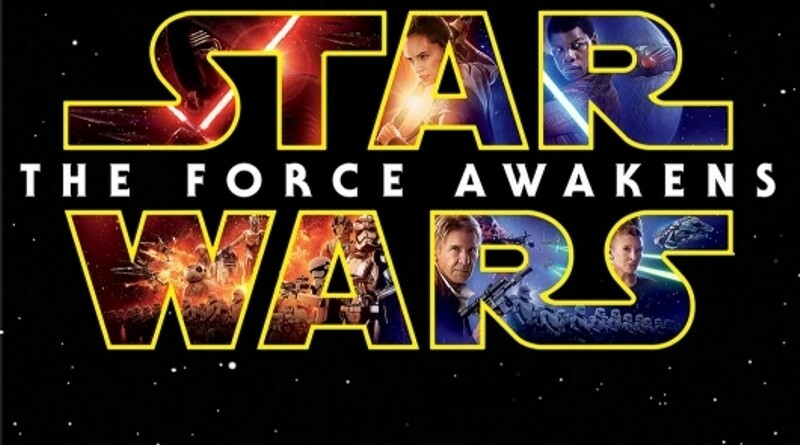 I’ve often said – partially in jest – that The Force Awakens needed just a little more politics! But the more I think about it – the more serious I get about it!